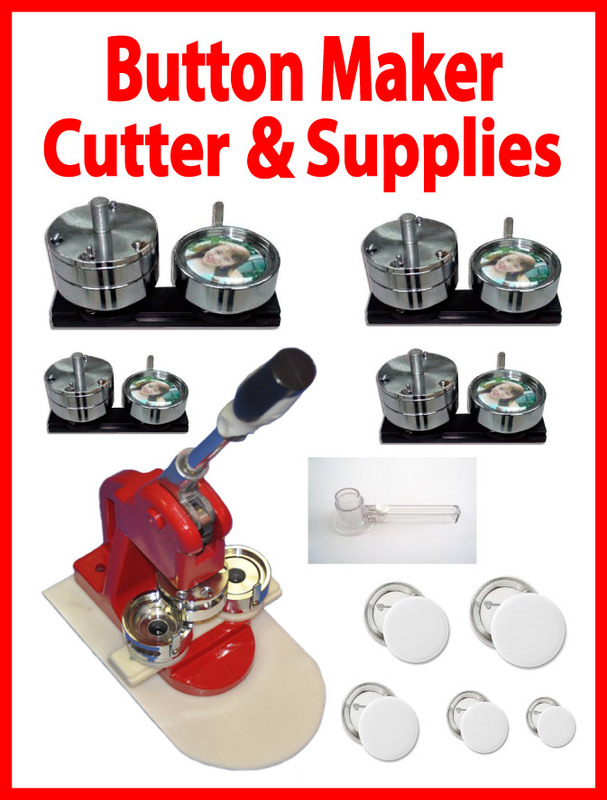 The brand new 5in1 manual button/badge maker press comes with 5 different size of molds, 1" (25mm), 1-1/4" (32mm), 1-3/4" (44mm), 2-1/4" (58mm), 3" (75mm). It is Industrial made and will hold up to high volume production. It comes with 500sets button blanks and circle cutter. Button maker press mold: 5sets:1", 1-1/4", 1-3/4", 2-1/4", 3"